The patient is a 18-year-old football player with a biceps femoris muscle injury (hamstrings), treated with Winshock. 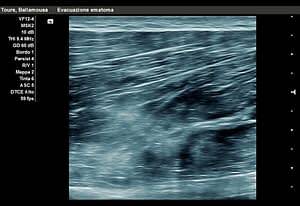 Diagnostic Ultrasound shows a significant lesion of the femoral biceps, with hematoma. 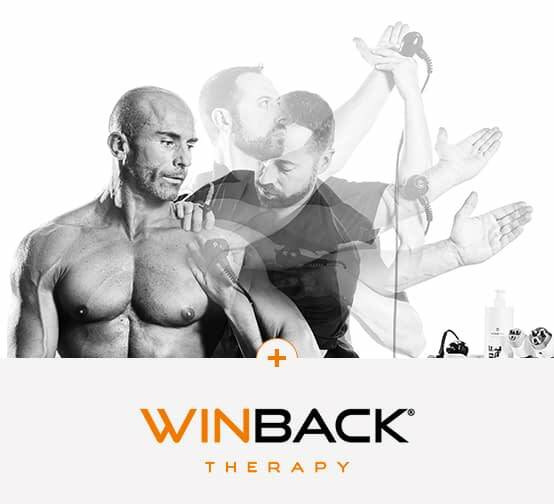 The clinical examination is immediately followed by a couple of 10-minutes sessions with Winshock (PUSH IN program). The temperature is set to -5°C, and currents intensity at 6. 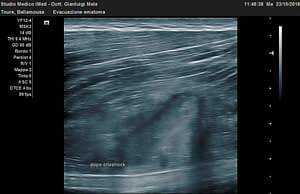 A second ultrasound is done after the treatment. It shows an integral resportion of the hematoma, and lesions edges got closer. The treatment was repeated three times within 48 hours after the post-injury acute phase. Between the third and fifth day, use of the CRYOSHOCK-PUSH BACK program for 30 minutes (current at intensity 8). In the rehabilitation phase, two sessions of 30 minutes every day with THERMOSHOCK-PRESS program (current at intensity 4). 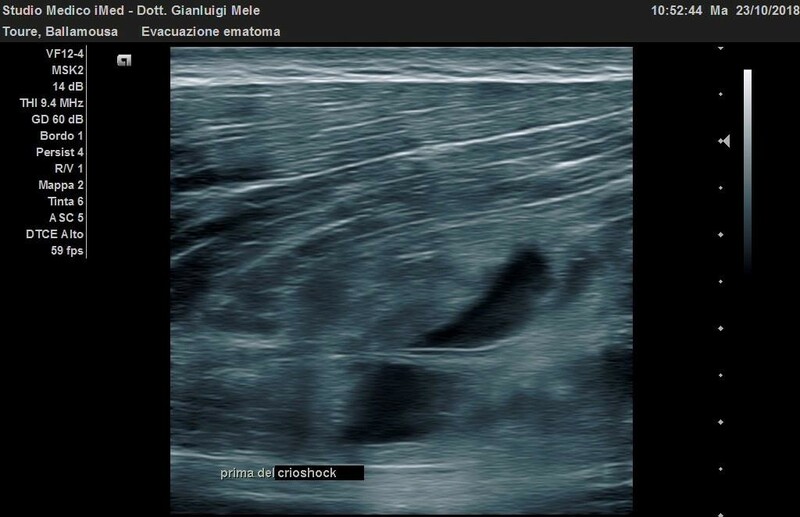 Ultrasound made on 11.10.2018 shows a full resorption of the original problem. This exam was done before going back to competition.